Home » Covered Bridge » Sunset from the Foster Covered Bridge in Cabot. 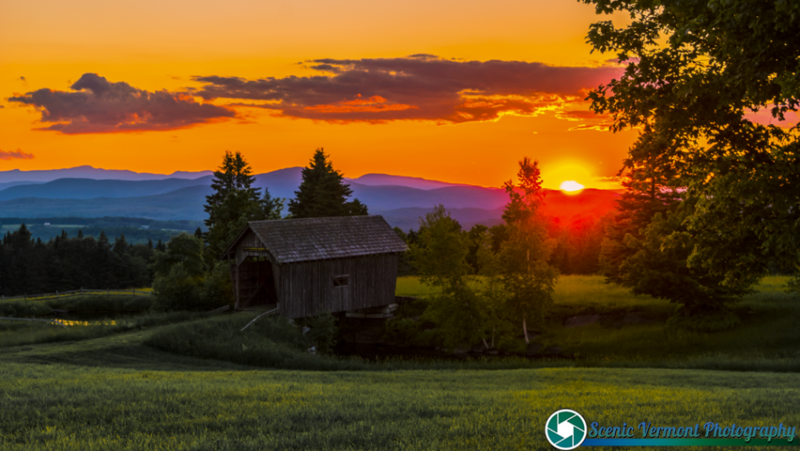 Sunset from the Foster Covered Bridge in Cabot. Dumbass me thought I would run up to Cabot and play with my camera. Dumbass me never took into account how bad the Black Flies are. Need I say anymore? Tagged covered bridge, Foster Covered Bridge, Historic Vermont, Scenic Vermont, Scenic Vermont Photography, Spring, Vermont Covered Bridge, Vermont History, Vermont Landscape, Vermont Landscapes. « Picture perfect late spring day in Peacham.